Unicorn Events Ltd Our Journal Blog - We need to talk about plastic waste. We need to talk about plastic waste. We live in a wasteful world, and the events industry is no different, be it wasting electricity, money, food, water, or of course, plastic. Sadly, creating wonderful, immersive, educational, and instagrammable worlds for guests is not an easy task. These worlds are temporary and can create huge amounts of waste. 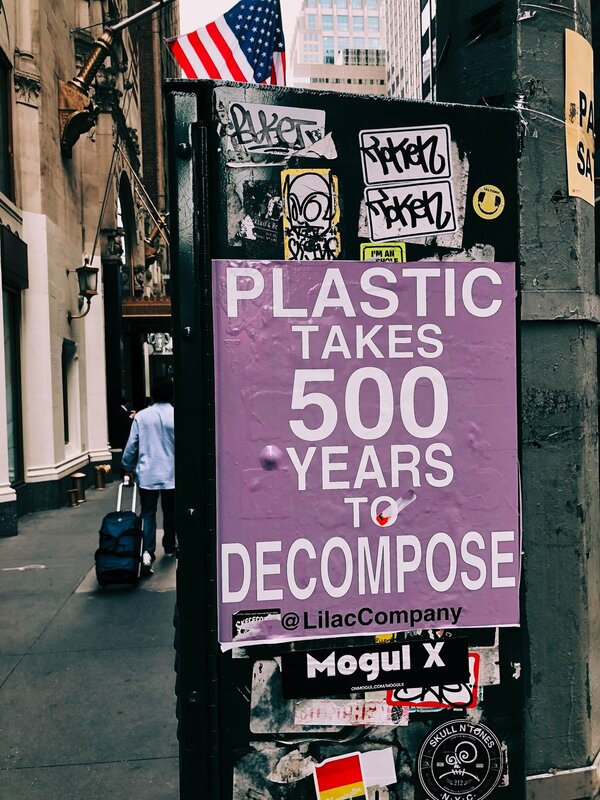 Plastic waste and the impact it can have on the environment is something we have been aware of for a long time, but have never acted on it in a meaningful way. Thankfully, the rise of celebrity activists, and social media’s window into more news and information than ever before is leading a change. In the last weeks, videos of the sea in the Dominican Republic swamped with plastic waste have filled our social screens. Last month, it was a whale washed ashore with plastic bags in its stomach. Before that, a turtle having a straw removed from its nose. We can no longer feign ignorance on the effects of plastic waste or environmental awareness in general. As providers of services, it is crucial for event managers to be part of a positive change. Large corporations have started implementing progressive-plastic-policies, with Morrisons, McDonalds, Starbucks and even Wetherspoons making small changes that will lead to a big difference in consumer attitudes. As individuals, we can make small steps to reduce our plastic use, but companies and brands have a responsibility to catalyse this change and normalise sustainable alternatives. For #EventProfs, this one is seemingly unavoidable. Both for event team and attendees, single-use bottles and other plastics are deeply ingrained in our organisational and day-to-day activities. Internally, try to stop using plastic bottles, and inform your team that there will be no bottled water available, instead providing a water station(s) for re-filling. Where budget allows, you could even provide your team with a branded reusable bottle. Where this isn’t possible, try only buying enough bottles for crew to have one each, and encouraging them to refill them throughout the day. We have trialled this method before, with sharpies available for crew to mark their bottles, removing awkward ‘I can't remember which is mine' moments. Externally, try wherever possible to provide fill-up points for attendees, and incentivise using reusable bottles. Other alternatives include more easily recyclable boxed, or canned water. CanO Water can even provide branded cans for events. Of course, we should not be using tech for tech’s sake, but do we need name badges and signage for everything, only for it to be thrown away afterwards? Electronic solutions for badges, accreditation, ticketing, and general event information can create a seamless experience, as well as reducing waste. Fewer free plastic pens and trinkets, and more recycled stationery, tote bags, reusable water bottles, and degradable consumables. Do your attendees really need another branded pen or USB stick? Though it seems as though we have to give our guests something, try to put more thought into gifts that they will really benefit from and utilise outside of the event in their real lives. It may cost a little more (although eco-friendly alternatives get cheaper every day), why not work with suppliers or headline sponsors that are ethical in their approach to business? Aligning your values with your suppliers’ not only reinforces your brand identity and creates a positive relationship, but encourages guests to be more mindful. Attendees can only take a proactive approach towards waste when the world around them accommodates an alternative! We are all guilty of it at one time or another. Leaving a cup or packaging on the side, or throwing it in the wrong bin because you were in a rush and didn’t want to hold onto it. Gamifying recycling with incentives, and increasing ease-of-access allows guests to take ownership of their environmental impact, and actively become part of a responsible event. Ask all suppliers to take their non-recyclable plastic back to base with them, if they even have to bring it at all. Venues across Europe have already started charging companies for the waste they leave, so developing best-practice procedures is a long-term must! Enforcing these rules early on encourages a frugal attitude towards waste, pushing suppliers not to bring onsite more than they need. Whether you are running a festival, an expo, or a small networking event, you will likely engage with guests before the onsite experience begins. Use this time to ask them to be mindful on the impact they are having on the event. Ask them to manage their own litter, to minimise the single-use plastic they bring with them, and explain what is and isn’t available onsite. For instance, explaining that plastic straws and bottled water won’t be available, but water points will be provided to refill reusable bottles. Although to some this may seem unaccommodating, annoying, and a hassle, policies such as these become a talking point and reinforce your brand's alignment and commitment to the environment, which is surely a good thing! These 6 changes are just the tip of the iceberg. There is a myriad of ways that we can minimise plastic waste, and create more considerate, environmentally friendly events that keep attendees AND the planet happy. We just have to get motivated, get creative, and start doing. What have you been doing to reduce plastic waste in your events (or life)? Tweet us @UnicornEventLtd and share your thoughts! Why roaming entertainment is more than just a gimmick (and the theory behind it).